IDFC is moving downward in a channel. Stock found support at earlier lows and moving up. Now stock is at channel top. If stock breaks out of this channel above 145.50 then it may see the levels of 151/160. If stock could not give breakout them stock may continue its down trend. Stock is forming inverted CnH formation with Neckline at 134.40. If stock breaches these levels in few days stock may fall sharply. So be cautious to take long position on breakout of the channel only above 145.50. 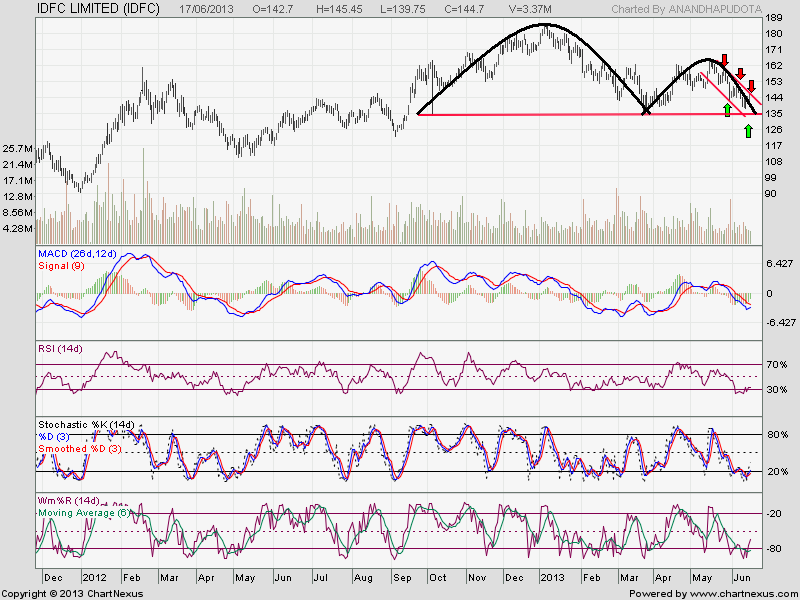 Also do not miss to take short positions if stock breaches below 134.40 levels to make quick money.